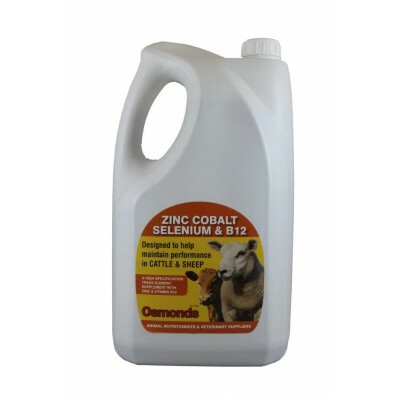 A highly concentrated liquid vitamin, chelated mineral and trace element supplement for cattle and sheep. Specifically formulated to provide essential elements in a form that is quickly absorbed and efficiently utilised. A combination of essential elements will help ensure healthy blood, good muscle tone, correct metabolic funcrtioning, correctly functioning internal organs and connective tissue and high fertility levels in both males and females. The addition of Zinc helps maintain healthy hoof condition.